Who is King of North & King of South? 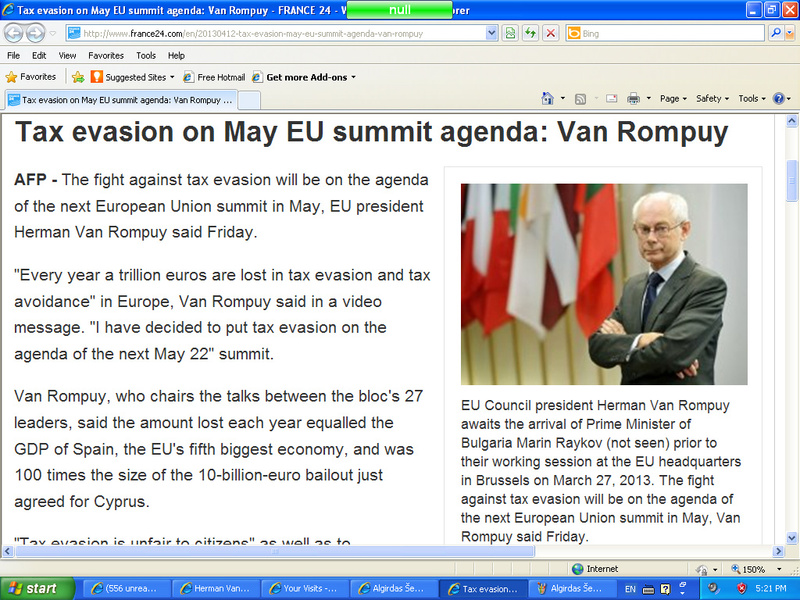 Raiser of Taxes is EU Council President Herman Van Rompuoy? [Plucked up by the roots]? and a mouth speaking great things." whose look was more stout than his fellows." [Egypt Mursi, Libya's new leader & Syria's new leader?]." 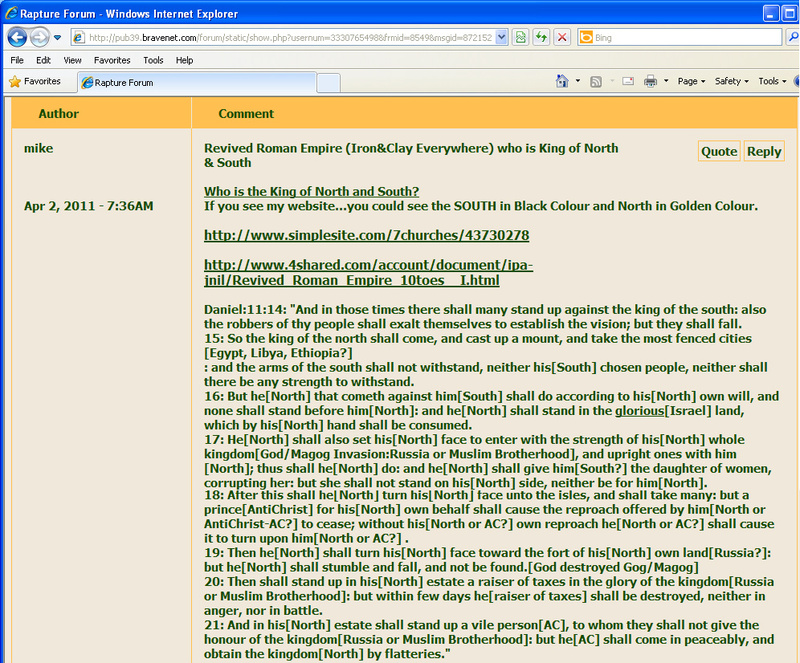 Another confirmation of the king of the North is Islam and South is Rome is by looking at North and South Korea. even I, stood to confirm and to strengthen him." 2: "And now will I shew thee[Daniel] the truth. and by his strength through his riches he shall stir up all against the realm of Grecia[ANCIENT-GREECE]." and do according to his will." even for others beside those." [British Empire? ]his dominion shall be a great dominion." and he[UK?] that strengthened her[US] in these times." and shall prevail [IRAN-IRAQ WAR? ]:"
more years than the king of the north[ISLAM]." and shall return into [ROME-UK/US]his own land." even to [ISLAM]his fortress[IRAQ war 2001?]." but the multitude shall be given into [ROME-UK/US]his hand." but [ROME-UK/US]he shall not be strengthened by it." with a great army and with much riches." neither shall there be any strength to withstand." which by [ISLAM]his hand shall be consumed." [prince]he shall cause it to turn upon him." 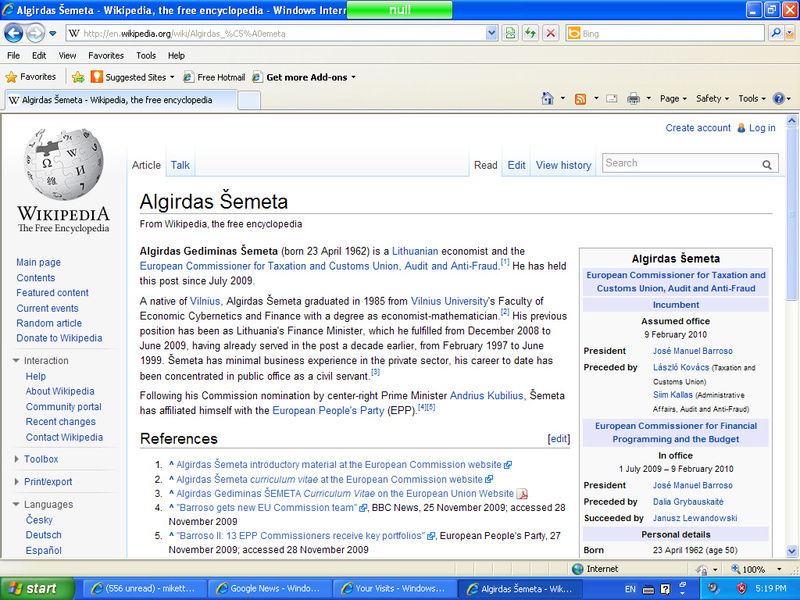 and not be found[as president of USA]." neither in anger, nor in battle." and obtain the kingdom[USA?] by flatteries." yea, also the [BEAST]prince of the covenant." a small people[MuslimBrotherhood or Islamic Front?]." for they shall forecast devices against him[ROME]." and many shall fall down slain." for yet the end shall be at the time appointed." and return to his own land." and have intelligence with them that forsake the holy covenant." and they shall place the abomination that maketh desolate." and by flame, by captivity, and by spoil, many days[2300?]." but many shall cleave to them with flatteries." because it is yet for a time appointed." for that that is determined shall be done." for he[BEAST] shall magnify himself above all." and with precious stones, and pleasant things." and shall divide the land[of ISRAEL] for gain." and shall overflow and pass over." and the chief of the children of Ammon[JORDON]. and the land of Egypt shall not escape." and the Libyans and the Ethiopians shall be at his steps." and utterly to make away many." and none shall help him[BEAST]." " And there are seven kings: five are fallen[Jimmy Carter, Reagan, Bush, Clinton, Bush no longer as US presidents after Jerusalem was captured in 1968], and one is[Obama], and the other is not yet come; and when he[Trump] cometh, he[Trump] must continue a short space. And the beast that was, and is not, even he[Obama] is the eighth, and is of the seven, and goeth into perdition."